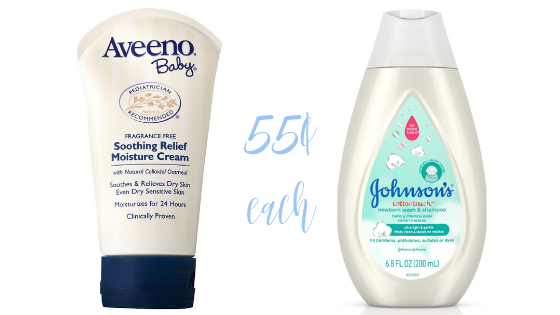 This week at CVS, get a great deal on Johnson & Johnson and Aveeno baby products. They are on sale for buy one get one half off and we have printable coupons and store coupons to pair them with! In the end, they’re just 55¢ each! Makes it $2.21 for everything or 55¢ each!